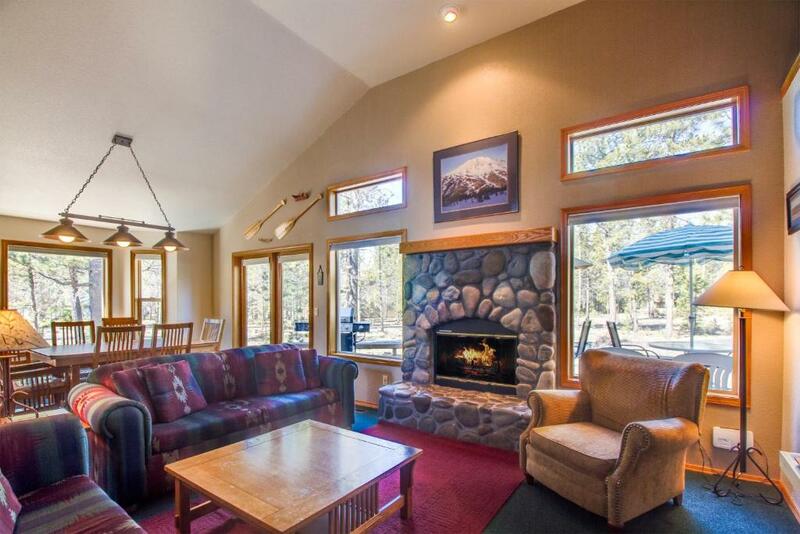 Nine Iron 7 is a vacation home located in Sunriver just 12 miles from Bend. The kitchen is equipped with a dishwasher. A TV is featured. When would you like to stay at Nine Iron 7? This holiday home has a oven, stovetop and tumble dryer. Single level, spacious open floor plan with lots of natural light. 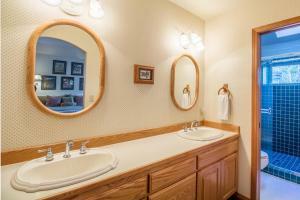 3 Bedrooms ( 2 are master suites) 3 Bathrooms. Master Bedroom with king. Quiet neighborhood, natural setting. Near bike path, Woodlands Golf Course and Deschutes River. Single level, spacious open floor plan with lots of natural light. 3 Bedrooms (2 are master suites), 3 Bathrooms. 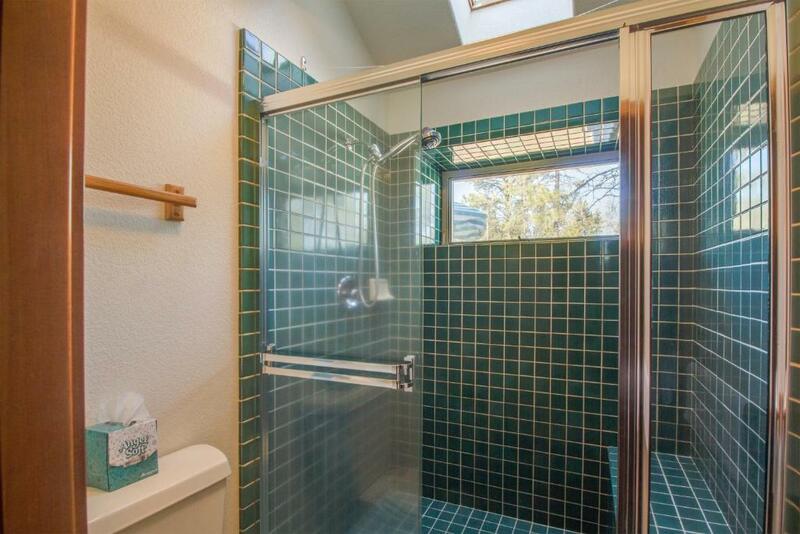 Stay cool in this lovely north end home with air conditioning. 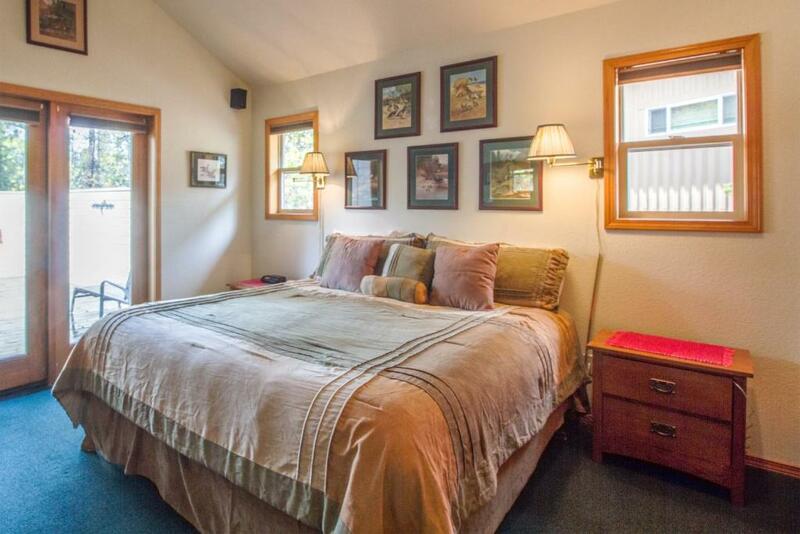 Master Bedroom 1 has a King bed with access to the back deck and hot tub. Bedrooms 2 and 3 have both a queen and a twin in each and there's a hide-a-bed in the living room. Quiet neighborhood, natural setting. Close to bike paths & Woodlands Golf Course. Short walk or bike ride to the river. 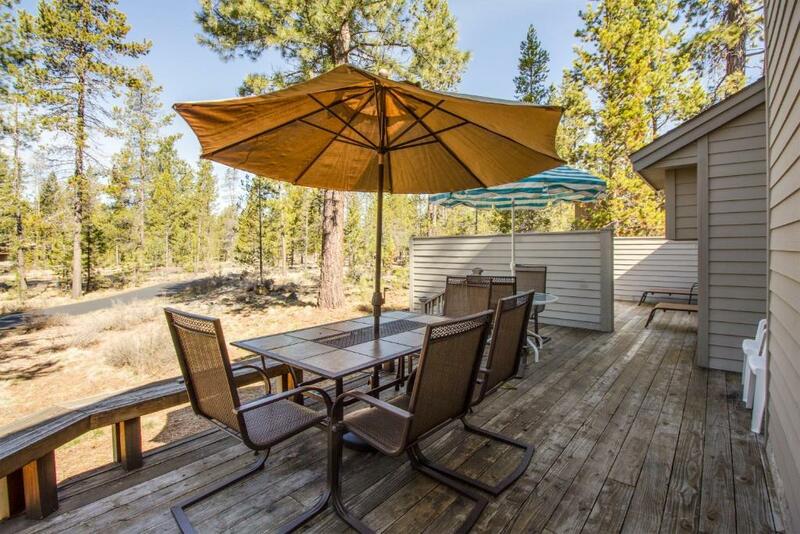 Take a bike ride anywhere in Sunriver on one of the 4 adult bikes provided with this vacation rental house. Soak under the stars in the outdoor hot tub or relax by the cozy fireplace. Lots of space for indoor or outdoor gatherings. Flexible accommodations for families or couples. Family reunion? Great! Book this home along with our 10 Nine Iron or 17 Nine Iron Lane homes and have plenty of room for the whole family. 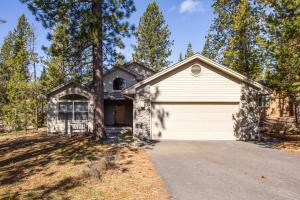 Sunriver is located at the foothills of the Cascade Mountains in Central Oregon. We enjoy 300 days of sunshine and a climate that is perfect for year round activities. Mt. 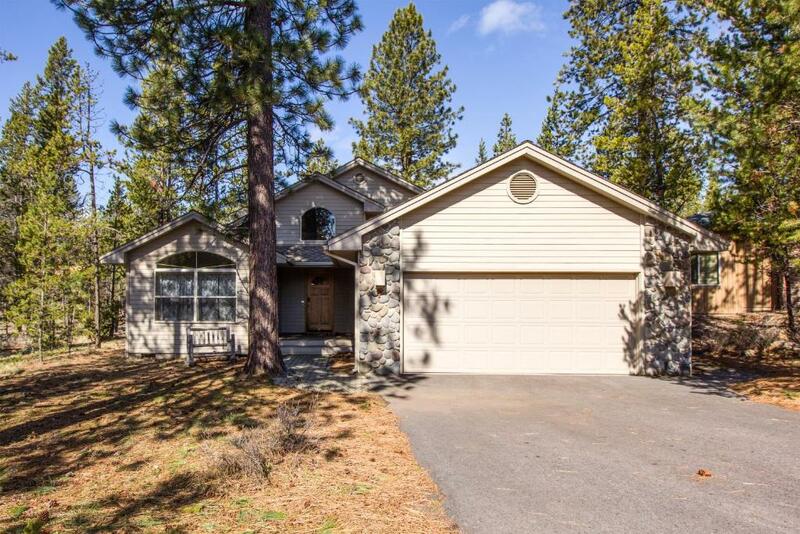 Bachelor is a quick 30-45 minute drive away, the Deschutes River is in our back yard and the pristine Cascade Lakes are a short drive away. Plus so much more golfing, biking, kayaking, hiking, white water rafting, skiing, rock climbing and more. 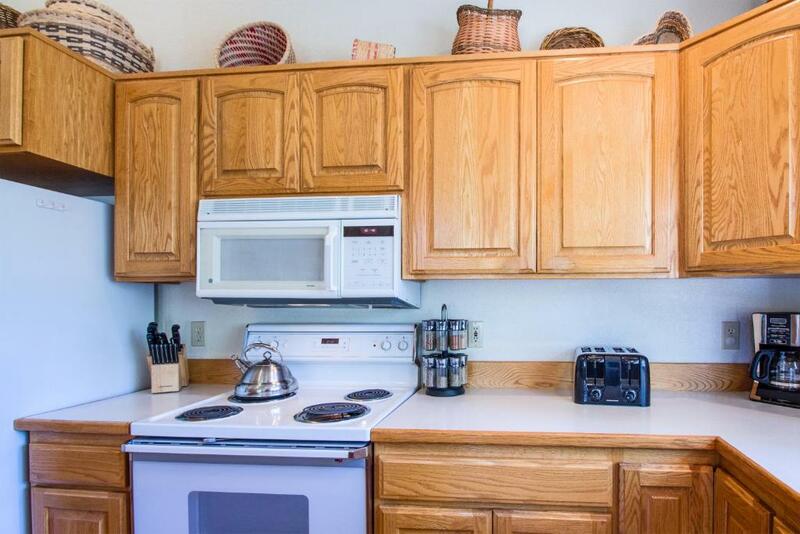 The resort community is compact at 4 miles long (north to south) and 2 miles wide (east-west). It's easy to get around on over 33 + miles of paved pathways. House Rules Nine Iron 7 takes special requests – add in the next step! Nine Iron 7 accepts these cards and reserves the right to temporarily hold an amount prior to arrival. Please inform Nine Iron 7 of your expected arrival time in advance. You can use the Special Requests box when booking, or contact the property directly using the contact details in your confirmation. Please note that the full amount of the reservation is due before arrival. 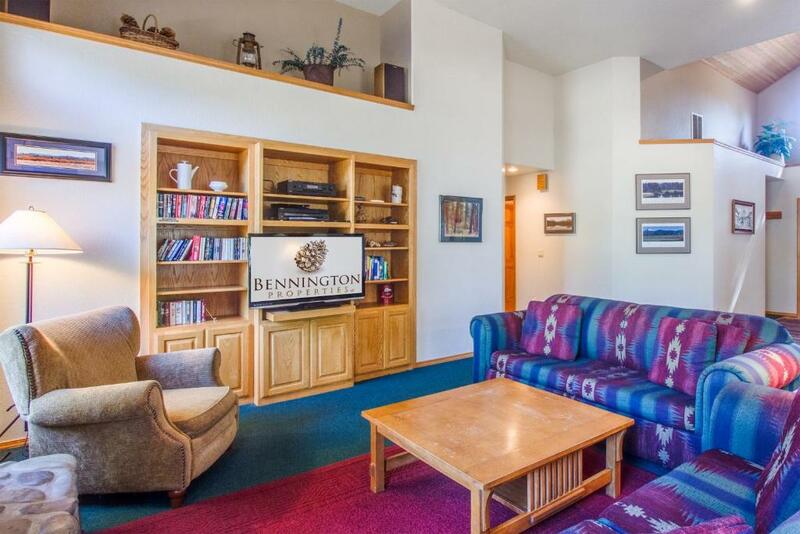 Bennington Properties LLC will send a confirmation with detailed payment information. After full payment is taken, the property's details, including the address and where to pick up the keys, will be sent to you by email. We need at least 5 reviews before we can calculate a review score. If you book and review your stay, you can help Nine Iron 7 meet this goal.